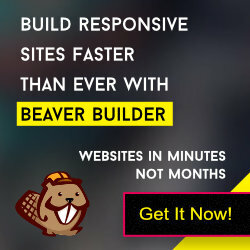 Nav extras is one of the remarkable features of the GBeaver theme. A lot of users get troubled about adding the nav extras like search form, social icons, button, contact number etc. Now, you can easily add these items on right side of your primary/secondary menu. Enable the nav extras for primary menu from Dashboard -> GBeaver -> Menu Settings section. After enabling it you will get new widget area “Nav Extras” at Appearance -> Widgets page. Now drag&drop the widget in Nav Extras widget area and these widget(s) will appear at right side of the primary menu bar (see screenshot). Enable the nav extras for secondary menu from Dashboard -> GBeaver -> Menu Settings section. After enabling it you will get new widget area “Subnav Extras” at Appearance -> Widgets page. Now drag&drop the widget(s) in Subnav Extras widget area and these widget(s) will appear at right side of the secondary menu bar (see screenshot).